... is Lanterne Rouge again today (Stage 9: St. Gaudens to Tarbes), final finisher of the stage and last rider in the General Classification. Hang in there!! Now you have a rest day to bounce back!! 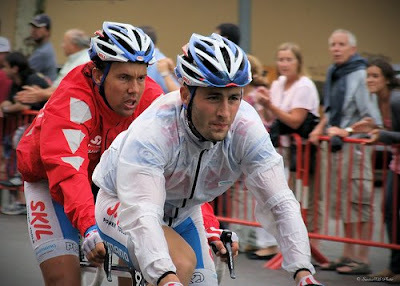 Today Danilo Napolitano of Team Katusha failed to reach the finish line by the time limit and was eliminated, bringing the peloton down to 171 riders (from an original 180).